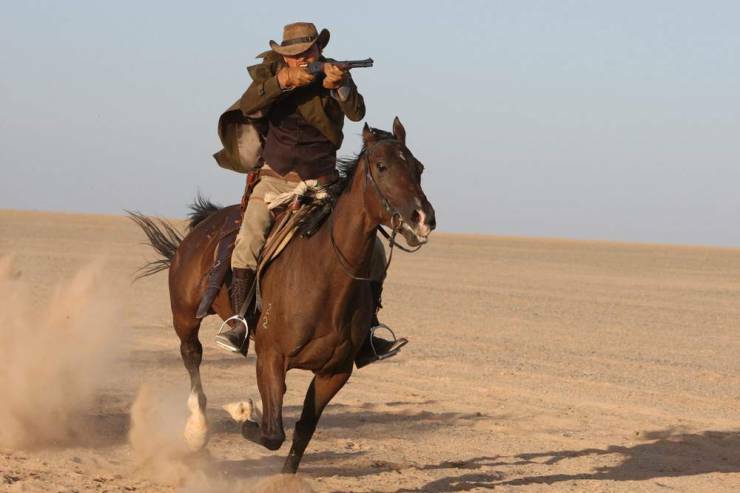 Set in the 1930s Manchurian desert, The Good, the Bad, the Weird (좋은 놈, 나쁜 놈, 이상한 놈) portrays a land of lawlessness and violence. Korea is occupied under Japanese rule, and refugees flee north to escape persecution. However, the land is far from a safe haven as immigrants from all nations struggle to survive. Within this fray is ‘The Weird’ train robber Yoon Tae-goo (윤태구, Song Kang-ho (송강호), who stumbles in and out of danger with an apparent nine lives. Performing his usual heist, Tae-goo unintentionally procures a treasure map rumoured to be the resting place of unimaginable wealth from the Qing Dynasty. 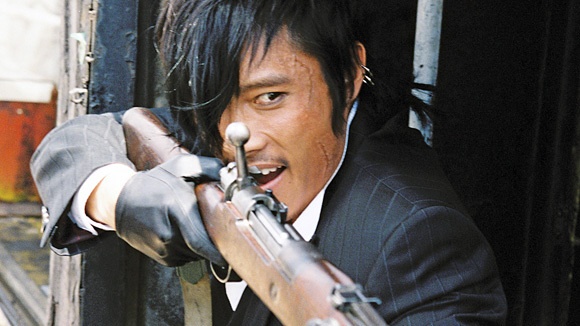 However, ‘The Bad’ Park Chang-yi (박창이, Lee Byeong-Heon (이병헌) and his gang of bandits also desire the map, and give chase. Behind them is ‘The Good’ bounty hunter Park Do-won (박도원, Jeong Woo-seong (정우성), seeking to bring both men to justice. The Good, the Bad, the Weird (좋은 놈, 나쁜 놈, 이상한 놈) is a zany, fun-filled revisionist take on a traditionally American genre. Kim Ji-woon makes it a uniquely Korean production primed with historical and cultural anxieties. As the pace of the film is frantic to say the least, there is very little in the way of character development or dramatic, poignant scenes as to why the map (and the rush for the treasure) is so vital for all involved. Instead, The Good, the Bad, the Weird (좋은 놈, 나쁜 놈, 이상한 놈) is an action-packed love letter to the genre, one that provides incredible enjoyment from start to finish.